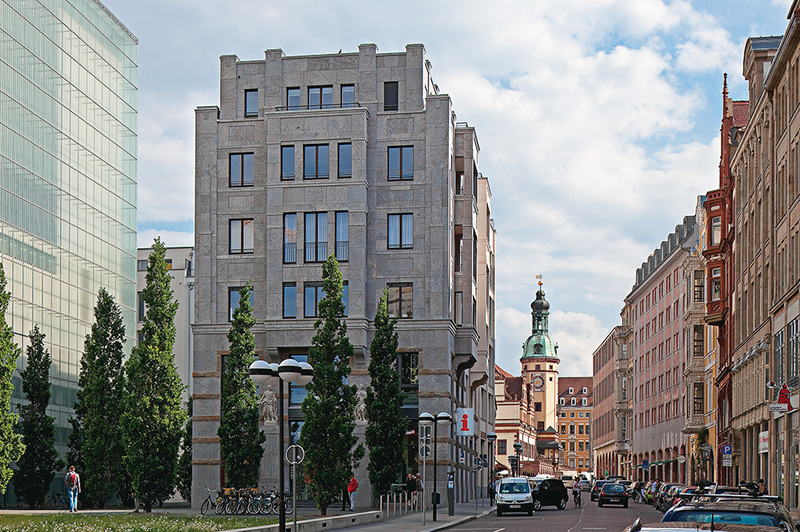 A city guide tour must be booked in writing at Leipzig Erleben (letter, fax or e-mail including the booker’s address). The customer accepts these General Terms of Business by making the booking. The booking is binding as soon as the service ordered has been confirmed in writing (letter, fax or e-mail including the booker’s address) by Leipzig Erleben. As far as an extension of the tour is agreed to during the tour with the guide the additional costs are to be paid in cash directly to the guide against receipt. If an invoice is agreed to, the extension is to be signed by the person in charge of the group. The payment for the service is made upon completion of the service or after agreement before the service in cash to the guide or by invoice without any discount. The invoice for restaurant services by Leipzig Erleben entails a handling surcharge of 10 % for advancing the funds. Admission tickets paid for in advance are invoiced plus 19% VAT. The scope of services under the agreement is shown in the service description by Leipzig Erleben. Side agreements must be confirmed in writing by Leipzig Erleben. The deletion of any services shall neither justify withholding the amount of the contract nor the deduction of any partial amount, unless this is for reasons of which Leipzig Erleben is responsible. If Leipzig Erleben is responsible for the deletion of any services, Leipzig Erleben is entitled to replace these services with other equivalent services. Leipzig Erleben is obligated to inform the customer of this. Where appropriate the customer will be offered a free change of booking or right to cancel free of charge. Themed bus tours (costume, dialect, music trail) as well as excursions: 15 guests or more. For booking additional services that Leipzig Erleben is rendered by other services (transport, catering etc. ), the cancelation terms of the respective service partner shall apply. For booking changes, a special fee is charged depending of the expense and work involved. The largest group for city guide tours on foot is 25 people. There can be route and program changes due to circumstances such as construction or road blocks, weather etc. or due to organizational reasons. The guide is obligated to wait up to 30 minutes after the appointed meeting time. In case a group comes late there is a surcharge of 20 % if the tour is not to be shortened by the length of waiting time. Prior agreement on the part of Leipzig Erleben is required if the tour is to be recorded. Leipzig Erleben is liable as sponsor for conscientious preparation of the event, the careful choice and control of services, the correctness of the event description and the orderly performance of the services agreed upon. Leipzig Erleben shall not be liable for services that are arranged as services of other parties (transport, visiting museums or exhibitions, restaurant or catering). The customer agrees that Leipzig Erleben may continue using the data made available for carrying out the services agreed for customer support service. In accordance with the German data security law, the data will not be passed on to third parties. The invalidity of any individual stipulations of these General Terms of Business or the Tour Agreement shall not make the entire agreement invalid. The sole court of jurisdiction is Leipzig.